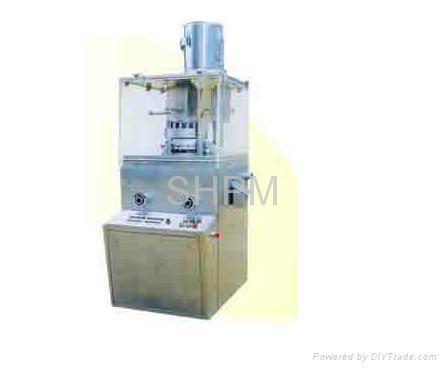 This machine is designed for pressing round tablets from various kinds of granular materials, it is primary machine to fit batch production of tablets. 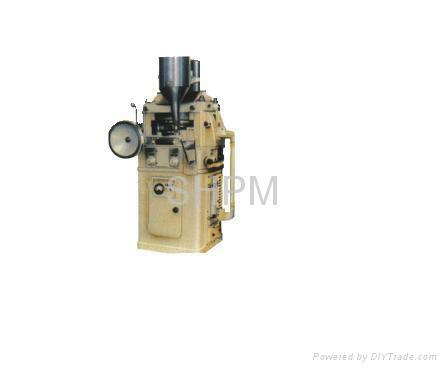 The mechanism of the machine belongs to double-press type. 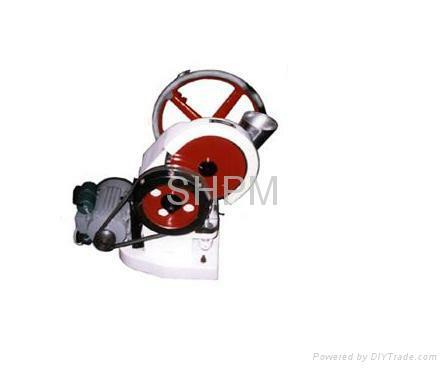 It consists of two sets of feed assemblage and press-roller unit. The turret carries 33sets of punches and dies, so 66 tablets will be pressed for each revolution of the turret. 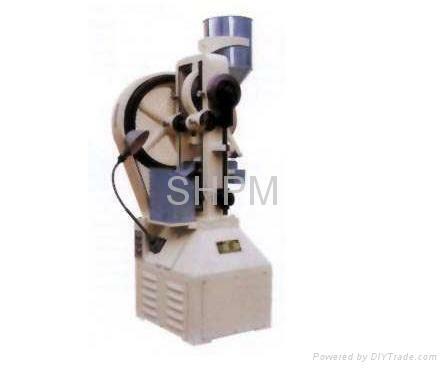 During operation, the speed of the turret rotation, the depth of the filling materials and the thickness of the tablets can be adjusted. 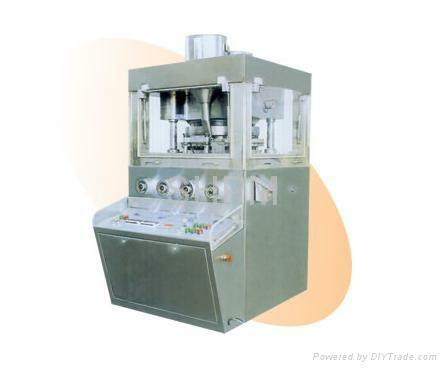 The mechanical buffer unit will prevent punches during the operation, so that the blockage by the residual powder can be eliminated and the collected powder material can be reused.